Lemons are absolutely loaded with vitamin C, which is known to support the body’s natural defenses. Put some lemon juice to your tea or make hot or cold lemonade with honey to stay well, build resistance to cold and flu, and speed up healing if you do succumb. Adding honey or ginger will boost the benefits of the lemon. 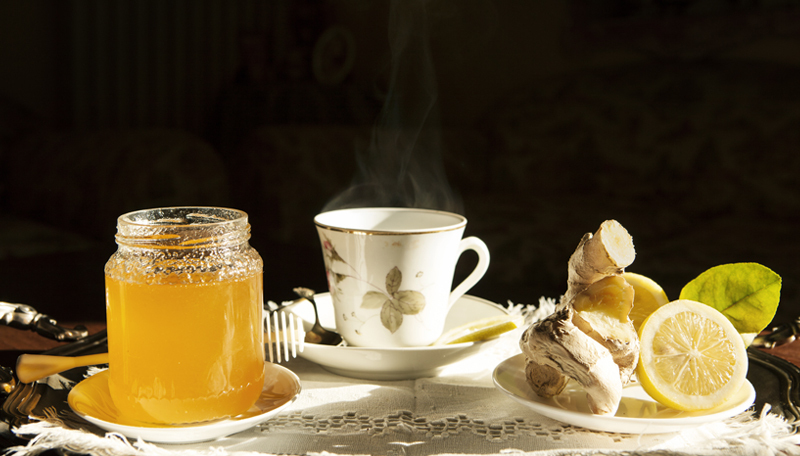 Honey will aid a sore throat and may help the body’s immune system, while ginger can help settle an upset stomach and help promote healthy sweating. Hot lemon with honey and ginger does sound more appetising than a recipe mentioned by Martial in 250 AD. He praises a popular cough syrup made with lemon, licorice, rosemary, dates, figs and other fruits. A healthy dish to grace any table. A warming drink, in the Anglo-Saxon tradition.